Looking forward to reading from Chance of Sun and Day Trips From Portland and doing a Q&A about writing and magazine editing at this month’s Central Oregon Writers Guild meeting. Central Oregon Writers Guild’s Thursday, April 25 meeting takes place at COCC Redmond Campus, 2030 SE College Loop, Building 3 Room 309, 6:30 – 9 p.m. The meeting is free and everyone is welcome to attend. Refreshments will be served. 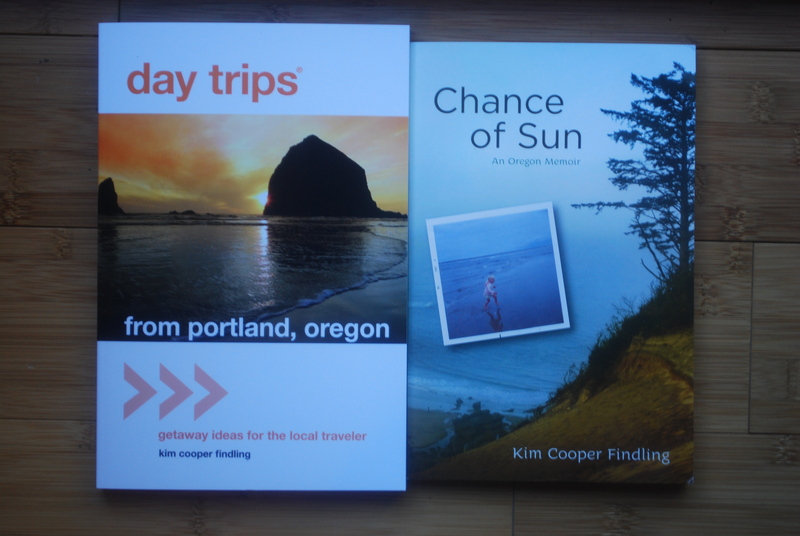 Bend Author Kim Cooper Findling is the featured speaker at Central Oregon Writers Guild’s Thursday April 25 meeting. Kim is the editor of Central Oregon Magazine and writes and edits for many magazines and a wide range of professional organizations. Kim was born in Seattle and grew up on the Oregon Coast. She has a B.A. in Psychology from the University of Oregon and a M.S. in Natural Resource Education from Oregon State. Prior to embarking upon her career as a writer, Kim worked as an educator at The High Desert Museum. Her work has appeared in magazines and literary journals, and she wrote chapters for the books Best Places to Kiss in the Northwest, Day in the Life: Central Oregon, Back from War, and the anthology You’re Invited. She is an AskOregon Ambassador for Travel Oregon and a member of the board of BendFilm. She teaches writing workshops to children and adults, and coaches writers one-on-one. One of her most recent adventures was as writer-in-residence at Cascades Academy in Bend, which she says was a blast! Kim lives in Bend with her husband and two daughters. Her website is www.kimcooperfindling.com.